IFA 2018: what will the major technology sharks offer us this year? The 58th exhibition IFA 2018 starts tomorrow. It is one of the largest technology and electronics exhibitions in Europe. The annual exhibition takes place in Berlin and brings together not only the masses of visitors but also the major technology market sharks, such as Dell, Samsung, Huawei, LG and others. A breakthrough of abundant wearables that already have gained a strong position in the market as well as of connected devices and devices that facilitate everyday life is expected this year. Lately we see more and more “big screens” around us. Iphone X, Huawei P20 Pro and Samsung Galaxy NOTE 8 are the smartphone models that are the best-known to the Lithuanians and are similar in size. According to the most popular technology review portal The Verge, this year at the IFA exhibition such manufacturers as LG, Huawei and Honor should be presenting the latest smartphone models that will continue the trend. Mr Ignas Rumbutis, the Head of the Product Department at ACME Europe, says that expanding smartphone screens have eliminated smaller tablets from the market. According the expert, “today’s phones are like supercomputers. By using them, we can not only perform a variety of works, for instance, to monitor our home or pets on the phone screen, but to manage home appliances, as well. A bright and large screen allows you to enjoy movies on trips or at leisure, while phone cameras feature very good parameters.” A phone is becoming the main screen for consumers, so in most cases it is used not only as a computer, but also as a camera and many other devices. This trend is also reflected in the camera market. According to the report of 2016 of Credence Research, a market research company, a drastic drop in digital camera sales is forecasted by 2023. AndroidPit, a technology review portal, says that the expanding smartphone screens are oriented towards younger users as well, because new, unseen mobile gaming opportunities are opened to the youth as phones serve as games consoles. According to Mr I. Rumbutis, “The growth in sales of wearables has been observed in recent years. According to the data of IDC (International Data Corporation), a market research company, the market of this category in Europe should increase by appr. 19% by 2021.” In recent press releases, watch manufacturers, such as Casio, Fossil, Garmin, have announced the release of exclusive models of smart watches at IFA. Of course, these watches may differ from the ones that are already on the market – the manufacturers mentioned that the watches feature classical design and a smart watch’s functionality. This year the IFA exhibition pays a lot of attention to the Smart Home category. According to the data of a well-known business magazine Forbes, the exhibition plans to provide appr. 9,000 square meters to this category. Appr. 70 exhibitors from 15 different countries of the world will take part in the exhibition. Although last year was supposed to be a year of smart home, it certainly did not happen. According to Medium.com, an internet portal, more than 16% of USA households were using smart technology last year. As far as Europe is concerned, this percentage is even lower. “The aforementioned category is still very new in Europe. People lack education on this issue and Lithuania is not an exception. We still believe in a myth that only very wealthy families can afford intelligent home,” said the Head of Product Department of UAB ACME Europe. However, foundations for the success of intelligent home that is available to everyone have been laid by virtual assistants: Google Assistant and Amazon Alexa. These devices have made it possible to connect smart devices with each other and control them on one platform, i.e. on a smartphone. In an interview with Forbes, the executive director of the exhibition, Ms Jens Heithecker, says that the exhibition also expects an unprecedented number of “connected” devices. Wireless headsets, smart watches, smart scales, blood pressure monitors, home appliances and more – we will control all of them on a single phone screen in the future. According to a technology expert, Lithuanians are not going to give up to the technology sharks as well. 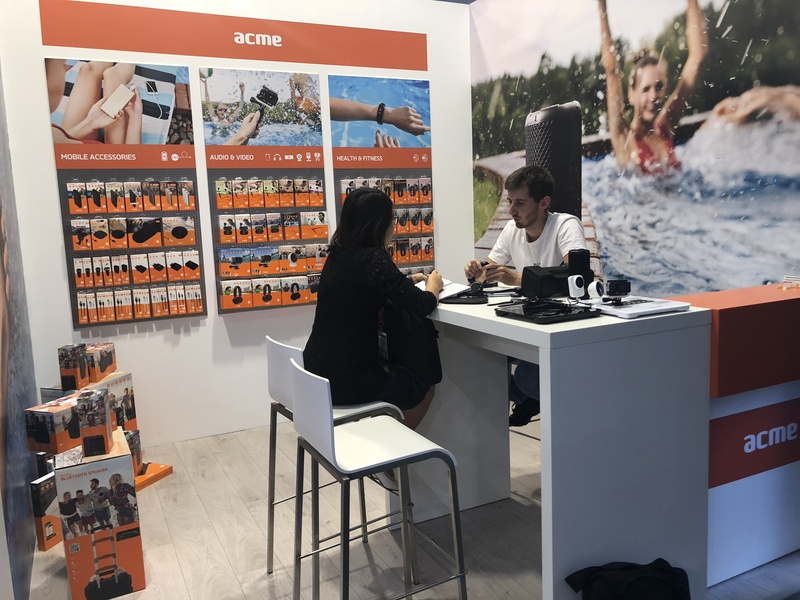 They have promised to present both, an upgraded range of smart watches and more “connected” devices, to the participants of the exhibition. Every year IFA brings together thousands of technology enthusiasts from all over the world. For technology giants, it is a great place to introduce devices improved during the year or new technologies. All that remains is to follow technologies that recently seemed to be unapproachable and futuristic and that will be found at home after this year's exhibition.